Get to know Cameron & Teresa, real estate agents with Greenwood King Properties. We are the chain that links your property, advertising, sales promotion, negotiation and successful closure. 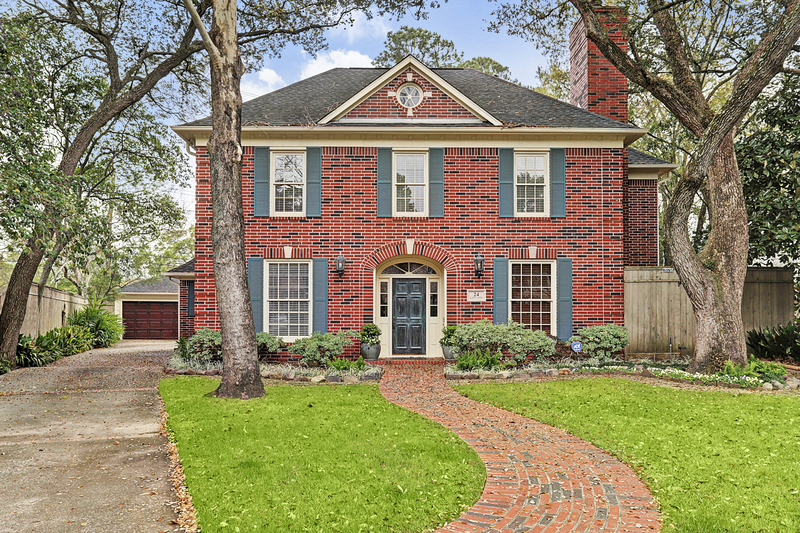 A comprehensive analysis of the real estate market in Houston's River Oaks neighborhood. 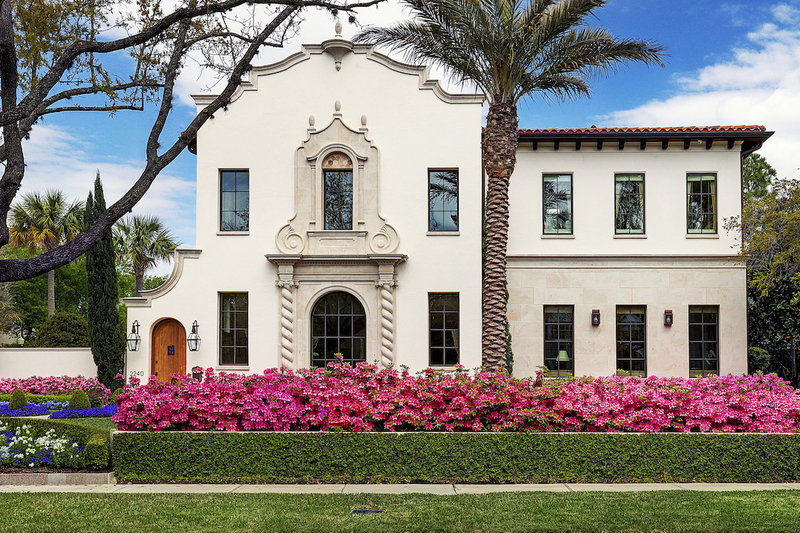 This dazzling Beverly Hills-style Spanish Colonial Revival villa has caught the eye of passersby since it was built in 2014. Authentic details – white-washed stucco walls, rustic terracotta roof, ornamental wrought-iron work, balconies, hand-painted tiles, striking archways and heavy wooden doors – are a marvel of workmanship, and it’s all integrated with state-of-the-art modern amenities, including an elevator and house generator. Spacious entertaining spaces include a grand reception hall and oversized formal dining room. An impressive chef’s kitchen opens to a large family room and resort-like loggia and pool. Spanish revival architecture became widely known as a result of the 1915 Panama-California Exposition in San Diego, and prominent examples include the Ponce de Leon Hotel in Florida and the Hearst Castle in California. This River Oaks home is surely Houston’s most outstanding expression of the style. Price: was $4,200,000 – now $3,725,000. Click here. Love HGTV home-renovation shows? Here’s an opportunity to live the dream! 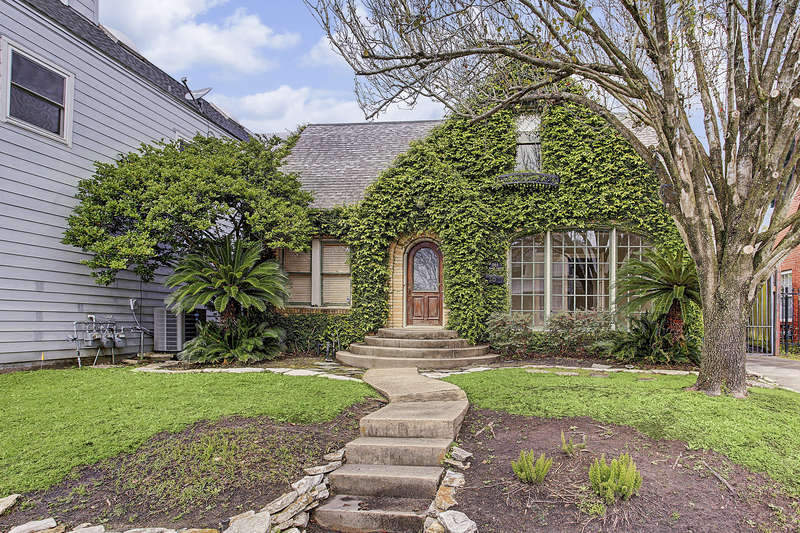 With an ivy-covered exterior, this vintage 1935 cottage offers hardwood floors, arched doorways, fireplace, dentil molding in the living and dining rooms and knock-your-socks-off Art Deco tile in the first-floor bath. Yes, the house needs some TLC. But buyers eager to get into a prime inner-Loop neighborhood and create their forever home will find this two-story brick house irresistible. In addition to three bedrooms and two baths, other attractions include a sun room (or study), pier-and-beam construction, second-floor utility room, cozy garret-style master suite, two-car garage and in-ground swimming pool. The Upper Kirby location is close to shopping, excellent supermarkets and restaurants and just a short drive to the Texas Medical Center, downtown or The Galleria. Price: was $525,000. Click here. This traditional brick home in the Afton Oaks area is an excellent prospect for renters who need plenty of room and a large backyard. It has four bedrooms, four full bathrooms, detached garage with workshop, wood-paneled library, formal dining room, big family room/living room, sunny breakfast room and a large kitchen with a fireplace. The three upstairs bedrooms, hallway and stair treads have all just had new hardwoods installed. Close to desirable public and private schools as well as excellent shopping and supermarkets, 24 Lana Lane is an easy commute to the Galleria area, Greenway Plaza, Texas Medical Center and downtown. Minimum two-year lease preferred. Price: $6,500/month Click here.